Why I Eat White Rice. Is it BAD for you? 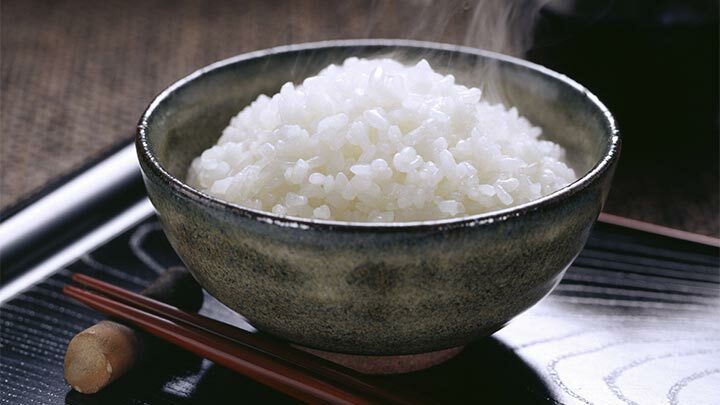 White rice is a staple food in the Asian diet. Just like in some cultures, where bread or potatoes are eaten on a daily basis, most Asians do consume rice every day. 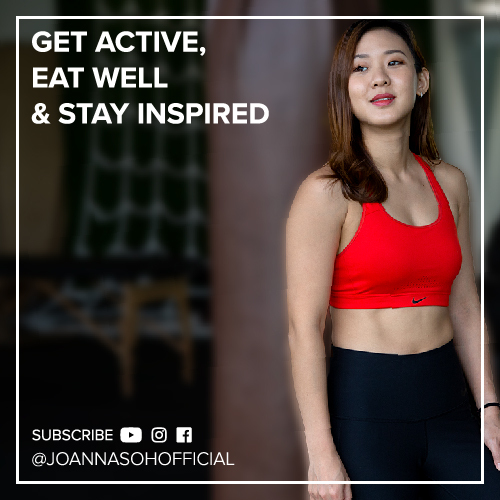 I want to share with you why I eat white rice and why it’s OK to eat white rice. 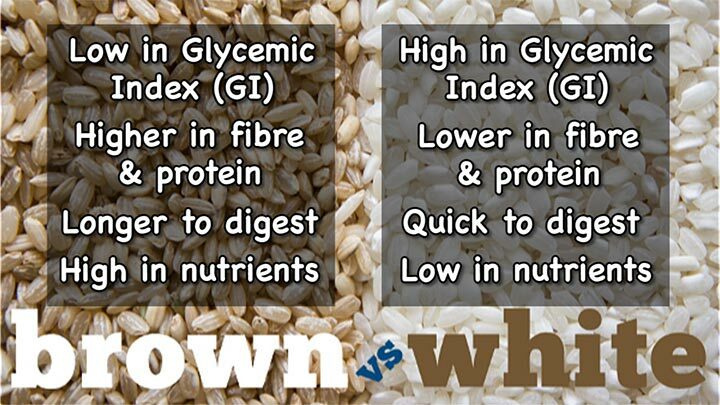 Let’s start with the common information we tend to here about brown versus white rice. Are they all true? Well, all these facts are in fact true. So why do I eat white rice then? It’s not as simple as that. I’m going to talk about each point in more detail. 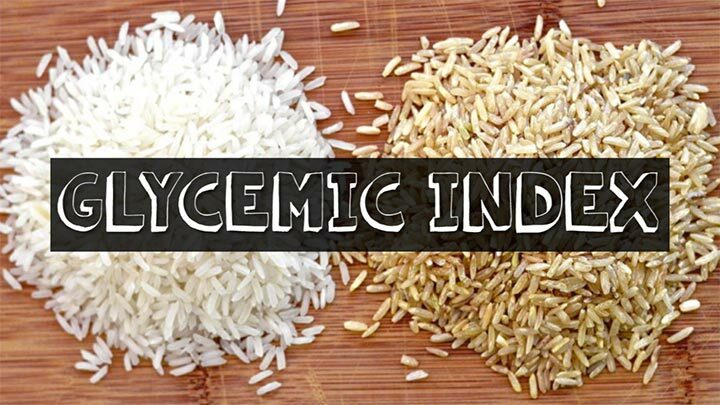 So let’s start with Glycemic Index. The GI value of a food basically informs you how quickly and how high they raise your blood sugar levels. The higher the GI value is, the faster the food will be digested and the higher it’ll raise your blood sugar levels. The lower the value is, the slower the food will be digested and the lower it’ll raise your blood sugar levels. Low GI food is often linked to feeling fuller and weight loss. High GI food is often linked to feeling hungry very quickly and weight gain. 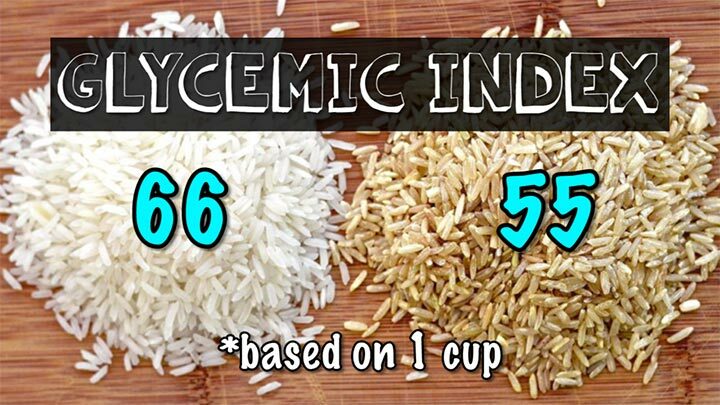 The Glycemic Index value for 1 cup of white rice is 66, whereas brown rice stands at 55. So should we simply look at the GI value and conclude whether or not a food is healthy for you? The answer is no! Here’s an important fact. The GI value of a food is determined when it’s eaten in isolation after an overnight fast. Chances are you won’t be only eating a big bowl of white rice first thing in the morning on its on without anything! In the Asian culture, white rice is often eaten in moderation together with lots of vegetables and also healthy sources of protein. The protein, fat and fiber in the other foods will greatly reduce the GI of the entire meal making the “high GI of white rice” on its own irrelevant. White rice eaten with vegetables, fat and protein as a healthy and balanced meal will keep you full and satisfied for a long time. To simple put, when other foods enter the meal, the type of rice, whether brown or white, becomes irrelevant. 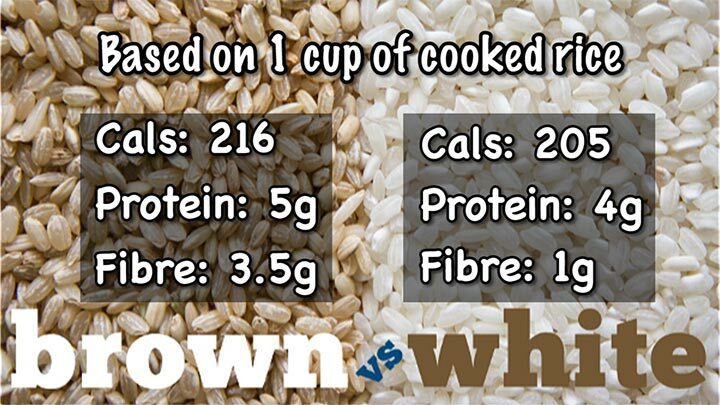 As you can see, there isn’t a huge significance between the nutrition values of white and brown rice. 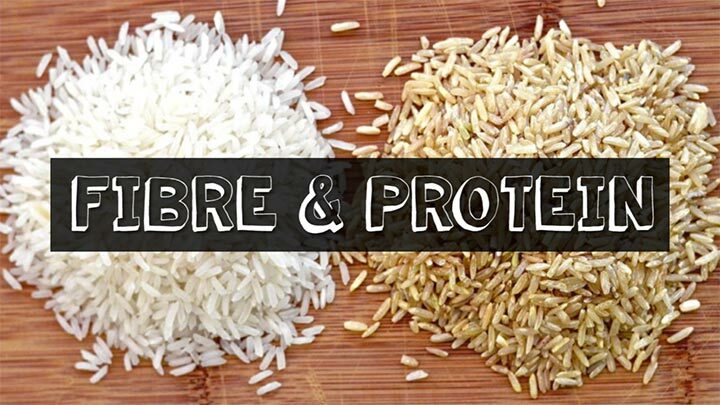 Yes, having fibre and protein are important as part of a healthy diet, but the truth is, eating brown rice will not significantly increase your overall fibre and protein intake, unless you were to eat a huge amount of brown rice. It’s just irrelevant to think that eating brown rice over white rice will contribute to your overall fiber and protein intake. 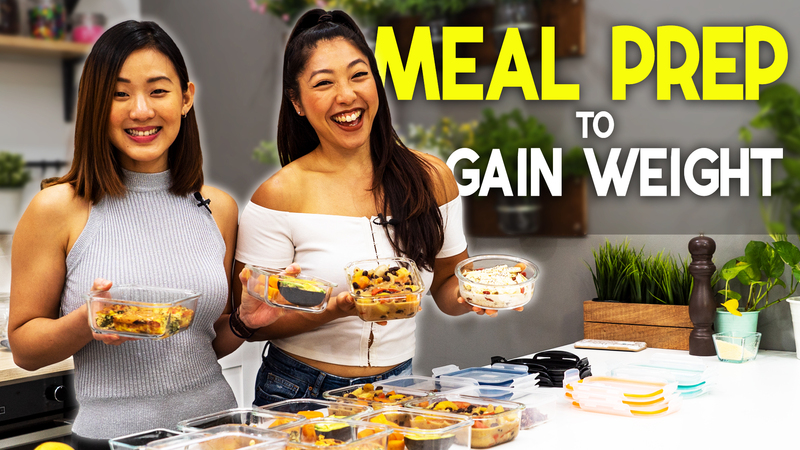 So you can still eat white rice and meet your daily requirements by adding lots of vegetables and healthy protein into the meal. For instance one cup of cooked broccoli has 5.3g of fiber and 1 cup of raspberries has 8g of fiber.